Sikhs can see proof in this Yogi Bhajan lecture that Bhajan was a worshiper of the Hindu god shiva! 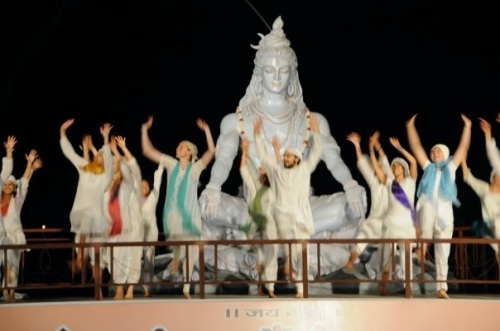 SikhNet & 3HO follow every command of their tantric yoga master so that makes them shiva worshipers too! At 7 minutes into this Yogi Bhajan lecture he says, "....and this is called Shiv Sadhana, Shiv Sadhana they call it because it can kill death. 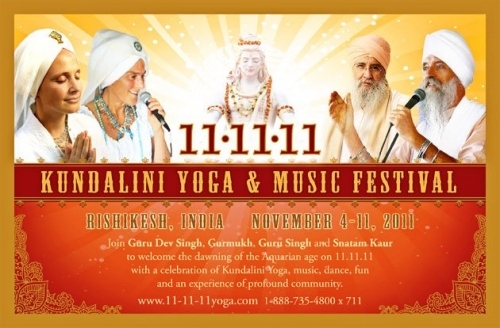 I am doing it now...."
Let's be clear that Yogi Bhajan is prescribing a kundalini yoga kriya which invokes the blessings of the Hindu god shiva to defeat death through a shiv puja! As Sikhs we should only look to the grace of the Siri Guru Granth Sahib Ji for all blessings. Guru Granth Sahib Ang 516 "....Those who serve Shiva and Brahma do not find the limits of the Lord...."
One has to seriously ask if Yogi Bhajan was more Hindu than Sikh. No wonder SikhNet denies and wants to hide the fact that Yogi Bhajan had a Hindu last rites ceremony performed by a Hindu Swami with his wife and children in attendance.